Stream anime episodes online for free, Watch One piece Episode 150 English version online and free episodes. Anime Episode guide One piece Episode 150 English dubbed Dreams Don’t Come True?! Bellamy vs. the Saruyama Alliance! 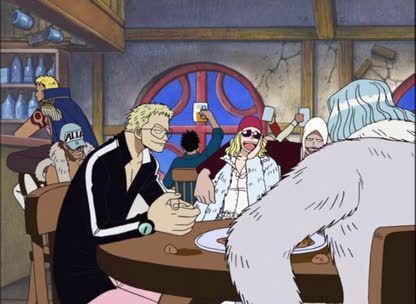 While the Straw Hats are looking for a Southbird, Bellamy and his crew attack Cricket’s house, and steal the gold artifacts he’d collected over the years from his salvage work. When the Straw Hats return and see what happened, Luffy decides to take a side trip back to Mock Town.